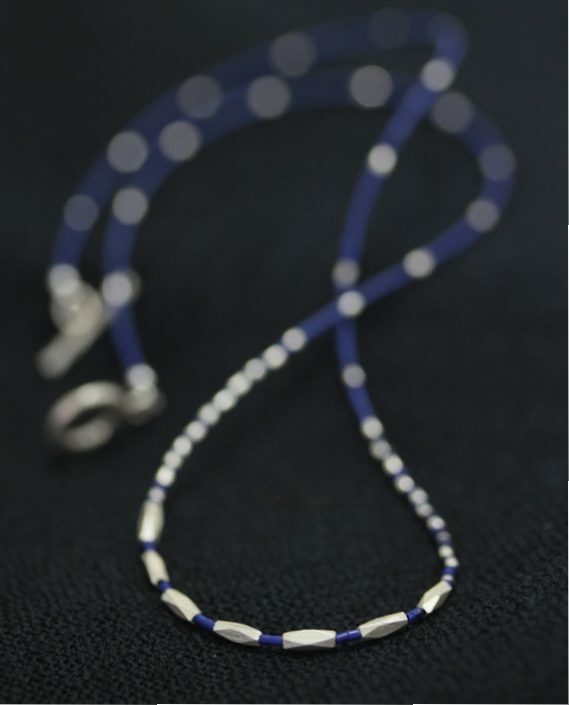 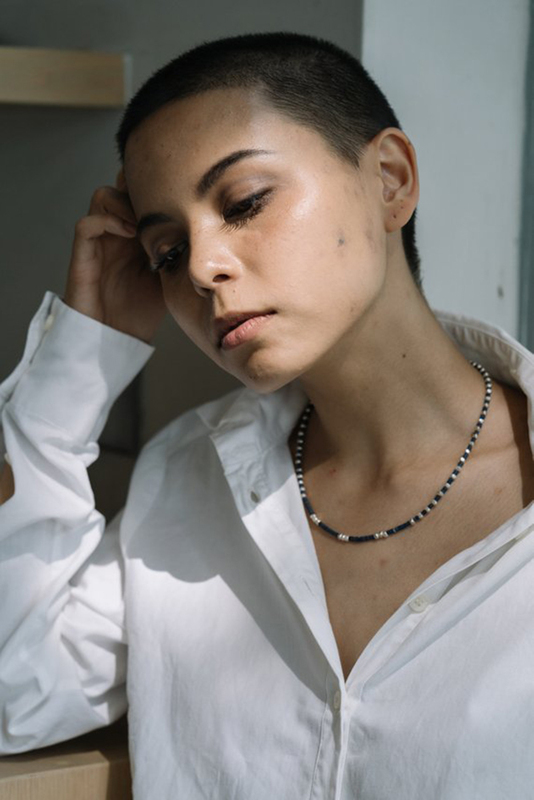 This handmade necklace is composed of night-blue color lapis lazuli beads, mixed with faceted donut-shape silver grains that are slightly bigger than lapis beads. 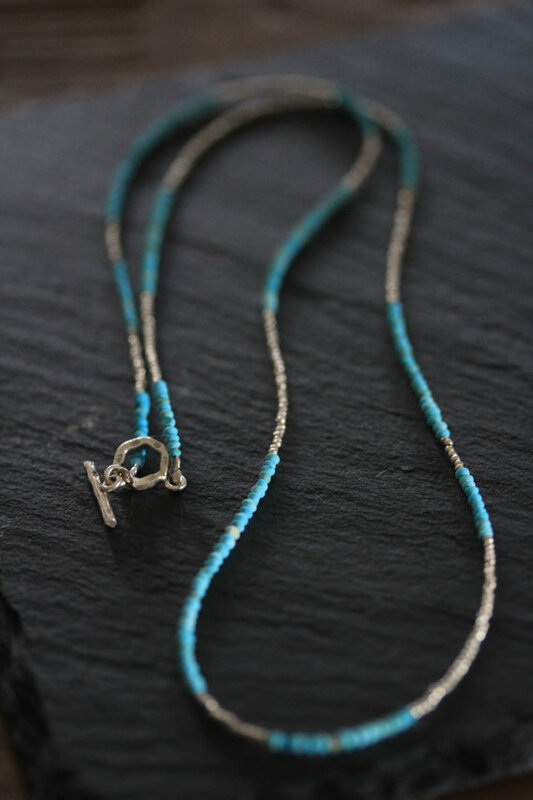 The string closes with a simple silver hook. 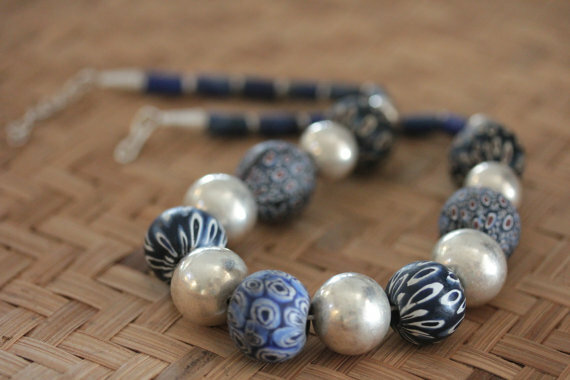 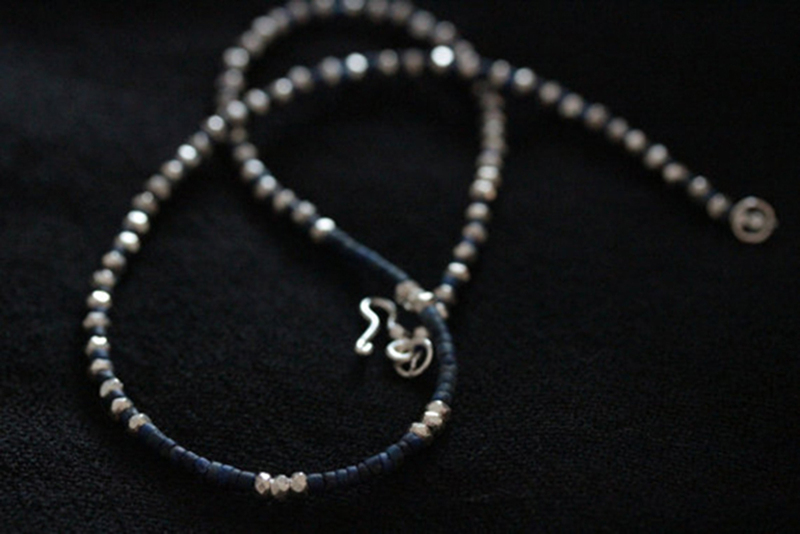 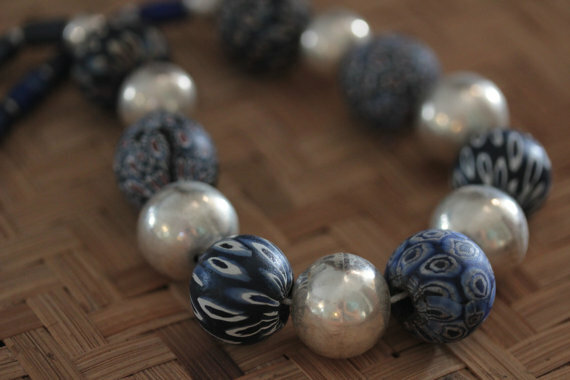 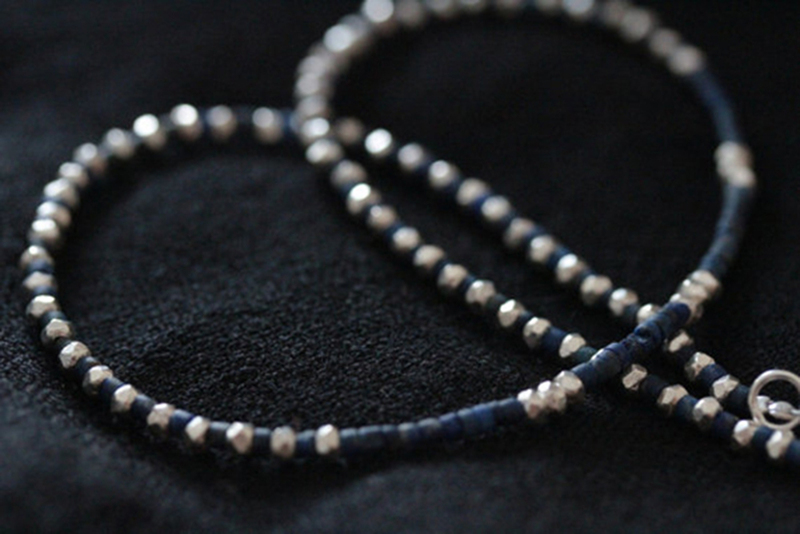 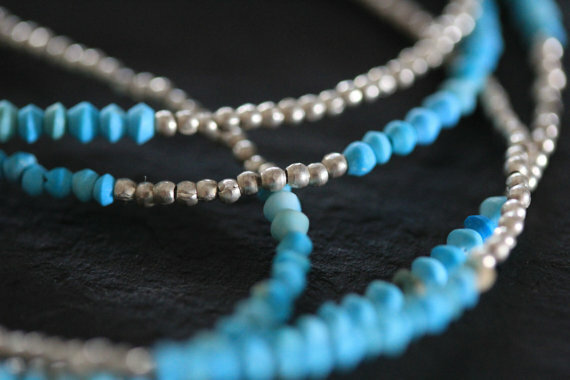 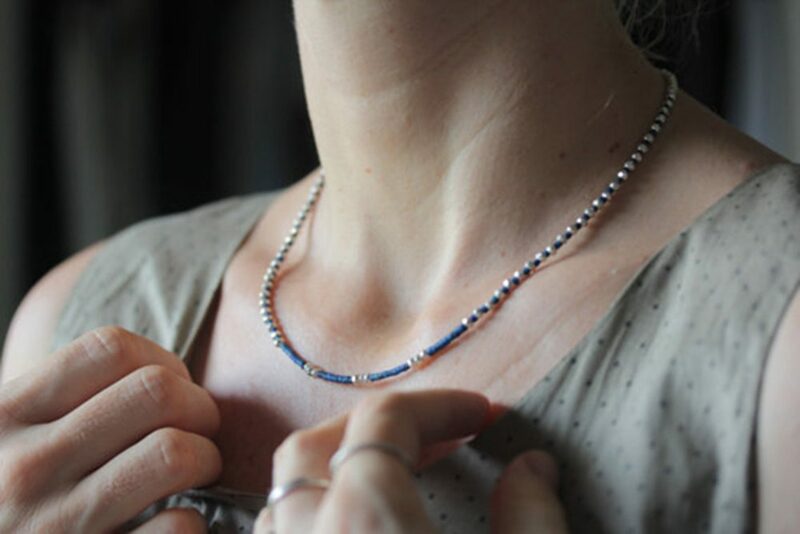 The lapis and silver beads contrast beautifully and has long been a favorite combination of materials in jewelry making. 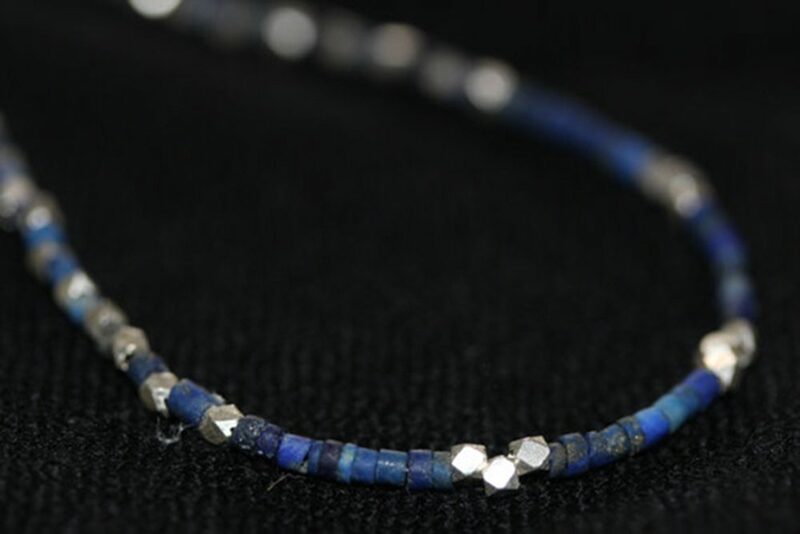 Lapis lazuli stone has been valued in many ancient cultures and is a universal symbol of wisdom, friendship and truth. 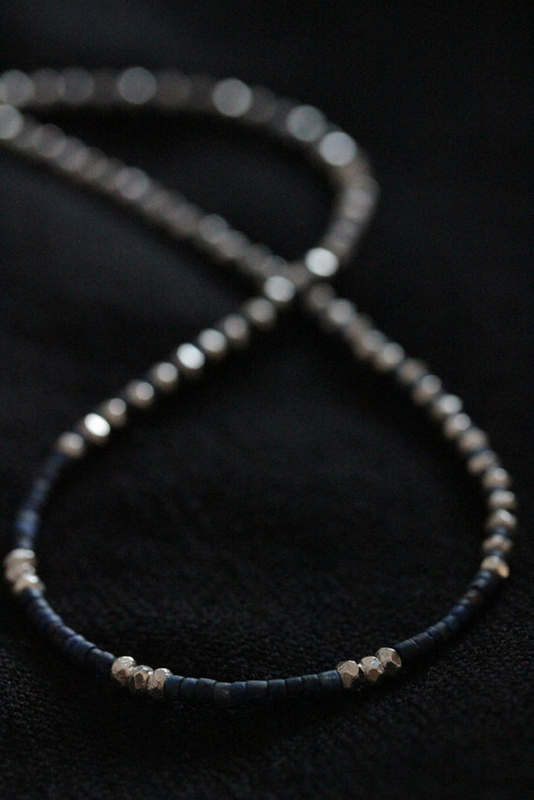 It is a very simple yet elegant necklace, easily worn for any occasion.